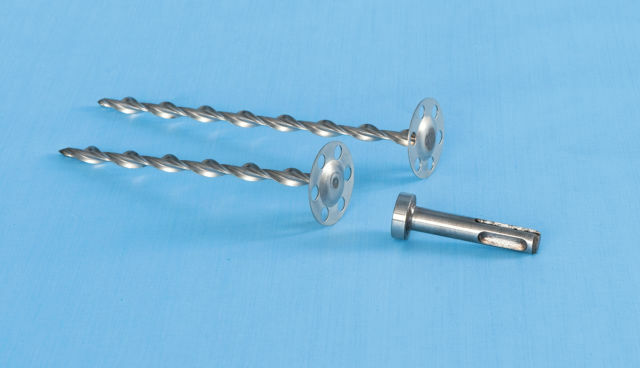 Metal insulation fixings for fireproof insulation boards and panels. 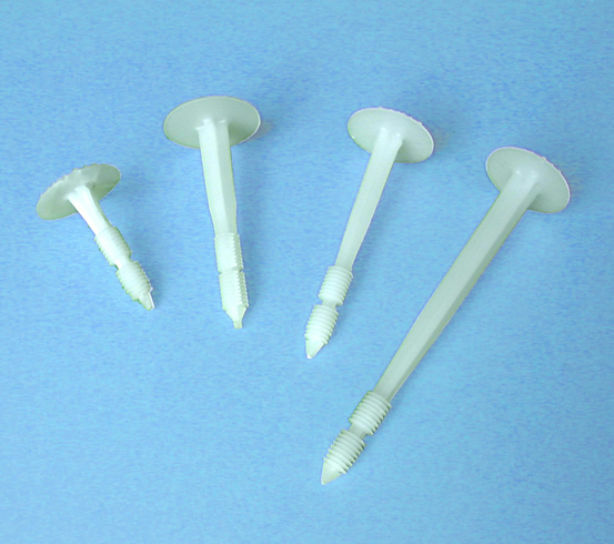 Superior insulation fasteners with twice the performance of friction-fix tube anchors. Insofast-35 fixings have a 35mm perforated head. A dome-shaped reinforcing centre is attached to a patented precise pitch Thor Helical shank to corkscrew into a variety of building materials including concrete, brick, perforated brick, Thermalite block. 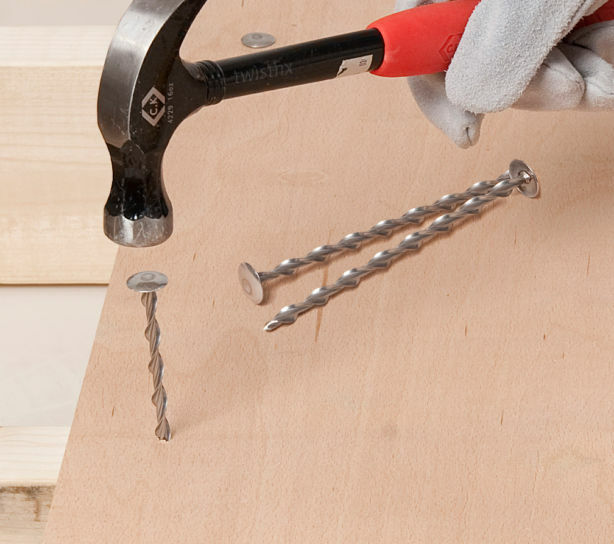 Theses metal fasteners are suitable for fixing mineral wool insulation to masonry walls and concrete soffit boards in all applications where fire-resistance is required. Also suitable for fixing Kingspan or Celotex panels where external wall insulation includes rendalath, expamet or other mesh types. 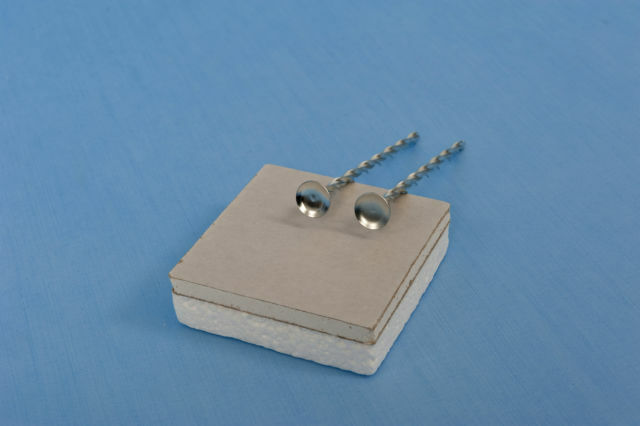 Insofast-35 fixings are available in 304 grade Stainless Steel.